Singapore – 8 September 2015 – Cataleya, a wholly owned subsidiary of the Epsilon Global Communications group, has been selected by Liberia Telecommunication Corporation (Libtelco), Liberia’s national operator and sole licensed fixed-line communications provider, to deliver a turnkey solution for interconnection, billing, and session and application management. The foundation for the solution will be Cataleya’s Orchid One session and application manager, which will be used to support Libtelco’s migration from legacy TDM infrastructure to IP networking. Phase 1 of the network modernisation will enable the delivery of both domestic and international VoIP services to local enterprises and government and allow international calling from fixed line phones for the first time in Liberia. Phase 2 will support the delivery of Unified Communications as a Service (UCaaS) to Liberia’s growing small and medium businesses (SMBs). 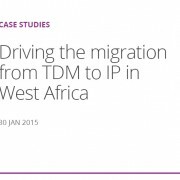 “We are supporting the modernisation of Liberia’s communications infrastructure with a complete solution that is accelerating the adoption of IP services. Whether it is international VoIP calling or Cloud Communications, this is a major step forward for Liberia and will fast-track growth in local businesses, start-ups, and technological innovation in West Africa,” says Jay Jayasimha, CEO at Cataleya. Libtelco serves local consumers and business as well as Liberia’s domestic mobile network operators (MNOs). Liberia has over 2.4 million mobile subscribers and a mobile penetration rate of 78%, according to Buddecomm. Phase 1 of its network modernisation will be completed over the next 12 months. “We transforming our network to deliver advanced communications services and applications and shaping a new era in communications sector in Liberia. We selected Cataleya because it offered us the fastest and most efficient way to modernise our network and deliver high-quality IP services. It is critical that we invest in future-proof technologies like Orchid One to guarantee the long-term success of the communications market in Liberia,” says Sebastian Muah, CEO and Managing Director at Libtelco. Cataleya has had success in West Africa with the deployment of the Orchid One in Nigeria with Interconnect Clearinghouse Nigeria (ICN). 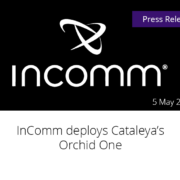 ICN has used Orchid One in its move from TDM interconnects to IP and uses Orchid One to serve local and regional mobile operators and fixed-line service providers with intelligent IP connectivity. “Cataleya and its parent company Epsilon are working on delivering simple, secure and efficient solutions for modernising networks and adopting IP. We believe that integrating intelligent networking and technologies to deliver complete solutions can benefit unique markets in Africa and around the world,” says Jayasimha.